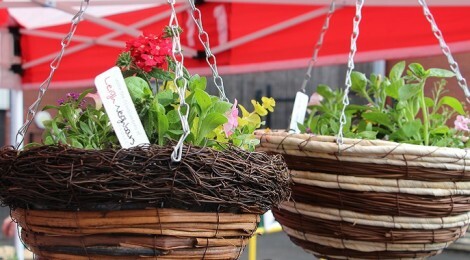 Browse: Home / Our autumn hanging basket worshops are back! 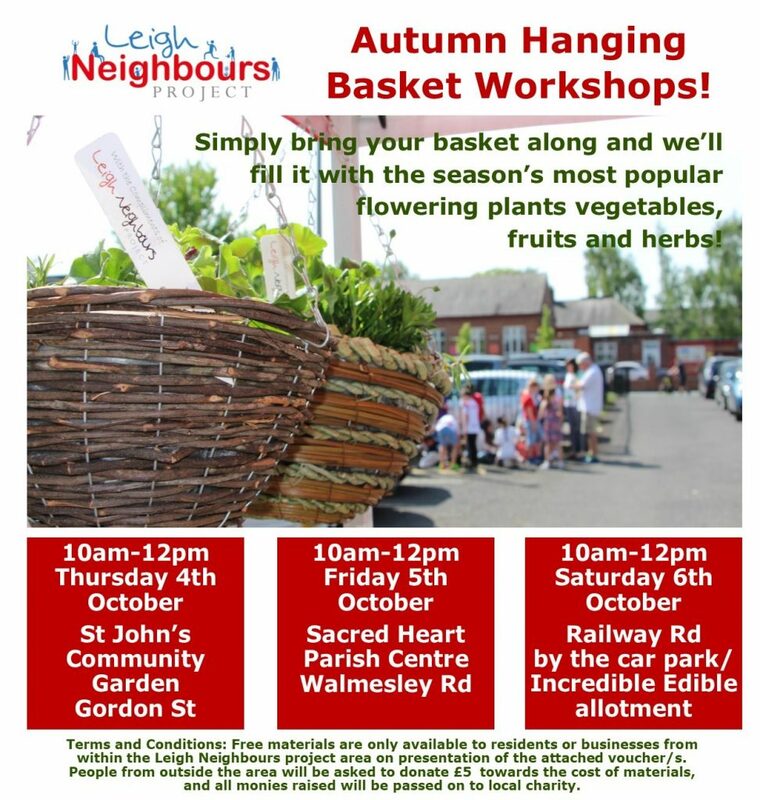 Over the past five years, Leigh Neighbours has organised dozens of free hanging basket workshops giving people the confidence to create one of their own. Investing in environmental projects, such as these kinds of workshops which aim to make our area greener, is important to us, because local residents told us it was important to them. Improving the area, making it cleaner and greener, remains a priority for many local people. So, if you fancy trying your hand at creating a hanging basket – floral, herbal or vegetable! – then pop along to one of our workshops next week. If you live in our project area you will have received a flier with vouchers which entitle you to claim free plants and compost (if you can’t find the voucher just bring proof of address!). 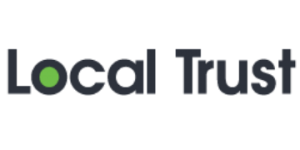 All we ask is for people who don’t live in our project area (but still want to make Leigh greener) to make a small donation towards the costs of materials, which we pass on to local good causes such as the foodbank. We look forward to seeing you at one of the workshops! ← Glitter pens, fuzzy felt and stickyback plastic! Free craft workshop this Saturday!